Town with 4,950 inhabitants on the bank of the Sió. It has been inhabited since the 4th century B.C, which is proved by the neolithic stone tools and the finds from the Celtic and Roman times. It was named after the tower, which was built by Salamon's son, Simon, vice Lord Chief Justice in the 1280s. 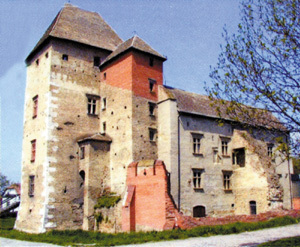 One of the owners of the castle was Palatine László Garai: the Garai -Szilágyi-Újlaki agreement about the conspiracy against King Mathias was concluded here. 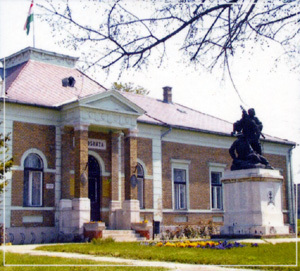 The construction of the palace, one of the most beautiful examples of Renaissance architecture in Hungary, was ended in 1509. The Baroque Franciscan church was built under Maria Theresa. A monastery was also added to the church. 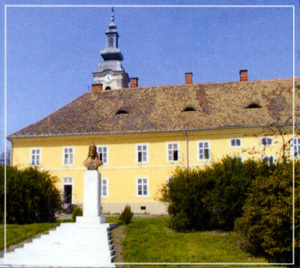 Salamon Fried built his first tannery in 1780, which became a famous factory of the Hungarian leather industry. The village, which can be considered the first county seat, became famous by its 700-year-old castle and 220-year-old leather industry. It got the rank of town in 1995. The village is split in two by the Sió canal, which is ideal for water sports. The monasteries and woods are ideal for active recreation. Visitors can taste the high quality wines of the region. Every year, in the end of June, begining of July there's an oner program, called "Theatrical Summer Days".